Despite the progress of the women's movement, many women still feel silenced in their families and schools. This moving and insightful bestseller, based on in-depth interviews with 135 women, explains why they feel this way. 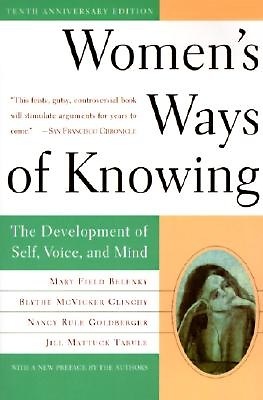 Updated with a new preface exploring how the authors' collaboration and research developed, this tenth anniversary edition addresses many of the questions that the authors have been asked repeatedly in the years since Women's Ways of Knowing was originally published.